I know of no other tactical action in history that has been politicised like the surgical strikes under Modi government. Prime Minister Narendra Modi gave a wide-ranging interview to news agency ANI on 1 January, 2019. Three questions (Q31-Q33) pertained to the surgical strikes. 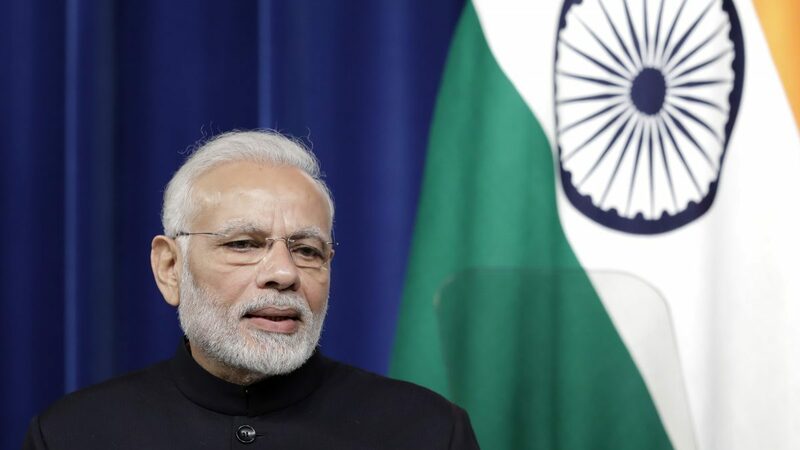 Given the controversy related to the political and military aims of the surgical strikes, the results achieved and the politicisation of the event, the prime minister’s answers merit a critical analysis. Though the concept certainly predates his analysis, Joseph Nye’s work on soft power has opened a stream of claims regarding the exercise of power outside of the formal channels of governance. As globalization has distributed economic benefits around the world more broadly, emerging economies are stepping up to express their role as actors in the global sphere. Two approaches are observed – one more organized and controlled in China and another more spontaneous in India, sponsored by individuals and corporations. Ambitious projects such as China’s Belt and Road initiative aim to remake global trade with a central position for the PRC. While China is shoring up its sphere of influence through economic partnerships, its leaders launched a five-year plan to build 3,500 museums in five years; they completed this in three years in 2012 and have added hundreds every year since. There is a hint of civic largesse, but China is also signaling its cultural centrality, aiming to demonstrate the enduring edifice of Chinese civilization and the authority it confers on the Chinese people and state to rule over an ever-widening domain. 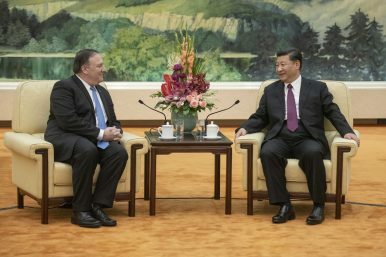 The narrative of PRC “debt-trap diplomacy” has gained increasing traction in some parts of the international media and US foreign policy-making communities. While useful in highlighting the adverse consequences of PRC-financed projects in developing countries, this narrative simultaneously overlooks the agency of the borrowing states and the sophistication of PRC corporate actors in implementing the economic strategy of the PRC party-state. Close examination of the case of Sri Lanka, the most widely cited example in discussion of “debt-trap diplomacy,” suggests that the “debt-trap” narrative does not capture the nature of the sweeping change underway. By fixating on the debtor-creditor relationship, the “debt-trap diplomacy” narrative misses the bigger picture — namely, the penetration of the global economy by PRC “national champion” state-owned enterprises (SOEs), which will serve to entrench and legitimize the PRC development model. Fans of liberal democracy had little to celebrate in 2018. 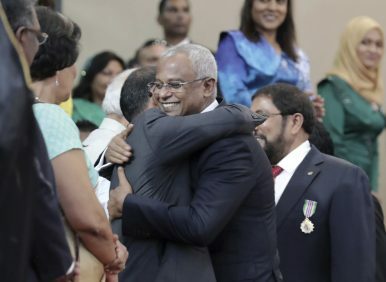 But its recent and unexpected resurrection in the Maldives, reversing a half-decade decline into authoritarianism, gives cause for some cheer. The architect of democratic deterioration, President Abdulla Yameen, lost elections on September 23 despite near absolute capture of all independent institutions, including the elections authority, security forces, and both the judiciary and its watchdog body. For much of his tenure the opposition was either jailed or forced into exile over sham charges of terrorism, to be joined by many allies fallen out of favor. Yameen himself was mired in corruption scandals, including a 2016 Al Jazeera investigation alleging his involvement in a money-laundering racket thought to be worth over $1 billion. He wielded his parliamentary majority to recriminalize defamation, while media critical of the regime found itself slapped with heavy fines. Our mental geography is bounded by what has gone before. What has happened in the recently remembered past is most likely to continue. Inflection points, when trends decisively change, are more infrequent than the many instances when things go on as they have done. Two of today’s trends seem unstoppable. China’s astounding growth will continue, so the story runs, underwriting its arrival as the second economic superpower. To get a share in that China action, underpinning the entire growth of Asia, is one of the prime economic arguments for Brexit. Abandon sclerotic Europe, embrace the prosperity of Asia – even if it is a world of semi-democracy at best, authoritarian government at worst. It can be guaranteed to grow. China’s desire to dominate new wireless technology poses a global threat that should be thwarted by a new, secure network, according to a former official in the Donald Trump administration whose call for an enlarged US government role caused an uproar last year. China will gain a capability for mayhem and mass surveillance if it dominates advanced 5G networks that link billions of devices, retired air force Brigadier General Robert Spalding said in a memo obtained by Bloomberg News. Chinese and Pakistani workers at a Belt and Road construction project in northern Pakistan. 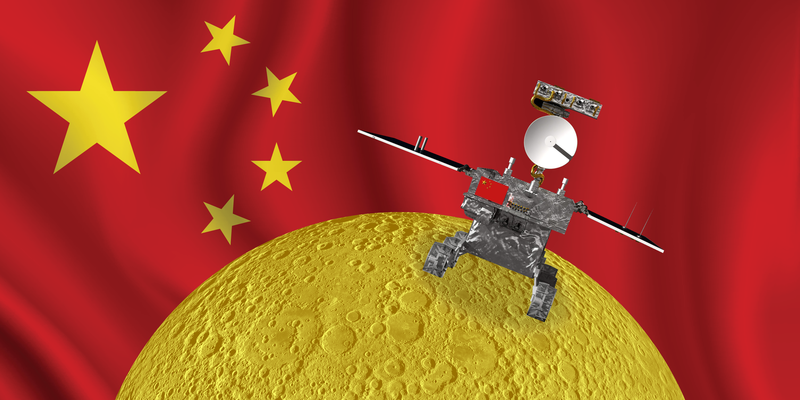 China landed a spacecraft called Chang'e 4 on the moon's far side for the first in human history. A rover and lander will study lunar geology, look for water ice, scan the night sky for radio bursts, and even grow silkworms. But Chang'e 4 is just one mission leading to a sample return, crewed lunar landing, and perhaps even the construction of permanent moon bases. The moon mission can be seen as yet another sign in the erosion of US standing in science, technology, mathematics, and engineering. After several weeks of coasting through the void between Earth and its moon, China landed a space mission called Chang'e 4 on the lunar surface.However, Chang'e 4 didn't touch down just anywhere: China parked the car-size lander and its rover on the moon's far side - an enigmatic region that, until now, humans have only explored from above. Both countries are currently competing to become the global superpower, as both regularly flex their military and economic muscles to fend off the other. However, Wan Xiangsui has revealed how China is a step ahead of its rival on a military basis, by exposing what he believes to be their biggest flaw. The military strategist for the People’s Liberation Army claims that satellites are Donald Trump’s biggest asset but also his biggest weakness. In 2007, China blew up its own satellite in a test to prove its anti-spacecraft technology works. Mr Xiangsui thinks the same technology could prove devastating should war ever break out between the two countries, he revealed during Amazon’s Prime’s “China vs USA: Empires at War” documentary. He said on the 2015 series: “Satellites are an American strong point but they can also be a weak point. It goes without saying that the biggest foreign policy challenge Patrick Shanahan faces in his new job as acting secretary of defense of the United States is the relationship with China. His 30-plus year career at Boeing may have been just the training job for exactly that role. There are few American companies with a longer history in modern China; fewer still have had the impact on both sides of the Pacific that Boeing has had. Boeing just delivered its 2,000th plane to China. More than half of Chinese commercial planes are supplied by Boeing. And according to the company, every Boeing plane in the world has at least some components which are made in China. 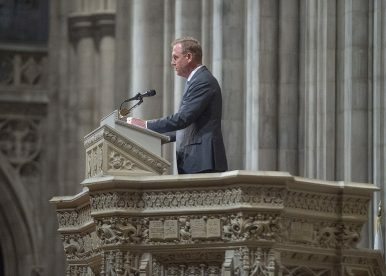 There has been much speculation since U.S. President Donald Trump chose Shanahan as an interim replacement for the legendary Jim Mattis that the former Boeing executive might not have the wherewithal or political savvy to deal with the prickly Chinese relationship. While controversial, he is certainly not alone in this view. But for expressing it, Sachs was swarmed with personal insults on social media, including the suggestion that his opinion was “bought.” Most attacked him personally or criticized China’s behavior in this and other spheres rather than rationally rebutting his view. This phenomenon is becoming far more common than is generally acknowledged and bodes ill for a healthy democratic system and its salient policymaking. Indeed, anti-China American researchers and pundits are becoming increasingly emboldened and shrill as they subtly attempt to intimidate those with contrarian views. Does Sino-US Competition Mean a Zero Sum Game? 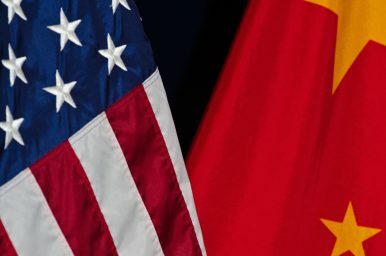 The United States’ policy on China is shifting to emphasize competition over cooperation, as described in its National Security Strategy. In response to the idea of competition, China has called on America to “discard the cold-war and zero-sum mindset.” But U.S. Vice President Mike Pence insists that “‘Competition does not always mean hostility,’ nor does it have to.” So whose definition is correct? And what does this mean for U.S.-China relations? The way Westerners think about Islamist terrorism has grown dangerously outdated. For decades, officials have focused on attacks launched by Middle Easterners. Today, however, the real threat increasingly comes from further east. In the former Soviet states and beyond, militants who once harbored mostly local grievances are turning their attention to the West. They will be the menace to watch in 2019. The threat posed by Middle Eastern terrorists has been shrinking for some time. Even during the war against the Islamic State, Russian speakers from former Soviet countries were already committing many of the major attacks in the West. Those included relatively simple lone-wolf events, such as the 2017 truck strikes on pedestrians in New York and Stockholm—both conducted by Uzbeks—but also more complicated operations, such as the 2016 suicide bombing of Istanbul’s airport—which was allegedly organized by a Russian national—and the 2017 attack on a nightclub in the same city, led by an Uzbek. A suicide bomber detonated an explosive-laden vehicle at a police headquarters in the Iranian port city of Chabahar on December 6. The bombing left at least two individuals dead and injured more than a dozen others (PressTV, December 6). The incident follows an earlier attack in Ahvaz on September 22, when several gunmen attacked a military parade, killing at least 29 and injuring more than 60 others (See TM, October 19). Ansar al-Furqan—a Sunni Baloch militant group—claimed responsibility for the attack in Chabahar the following day (SITE, December 6). Ansar al-Furqan is based in Iran’s Sistan and Baluchestan Province and has claimed responsibility for several anti-regime attacks over the past several years, including an attack on an oil pipeline in Ahvaz in December 2017. Iranian authorities have reportedly arrested 10 individuals suspected of involvement in the attack and stated that more arrests would follow (PressTV, December 9). Less than a month after the September 11 terrorist attacks on the United States, U.S. troops—with support from British, Canadian, French, German and Australian forces—invaded Afghanistan to fight Al Qaeda and the Taliban. 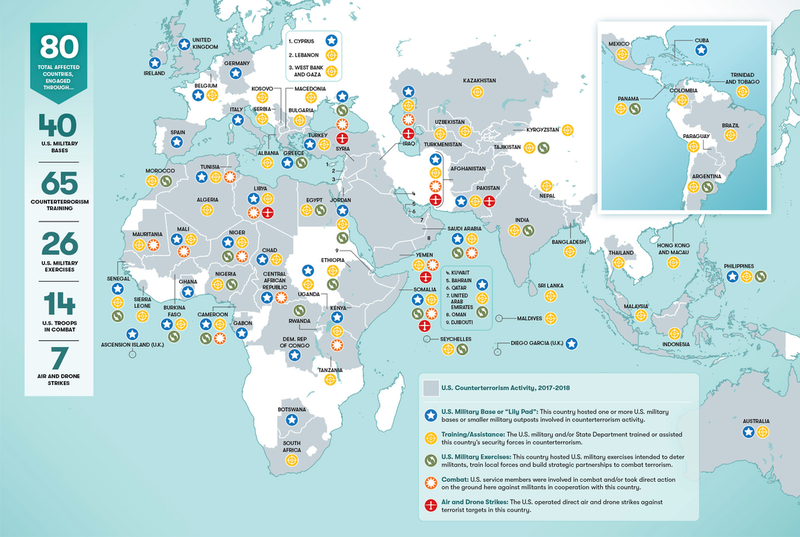 More than 17 years later, the Global War on Terrorism initiated by President George W. Bush is truly global, with Americans actively engaged in countering terrorism in 80 nations on six continents. 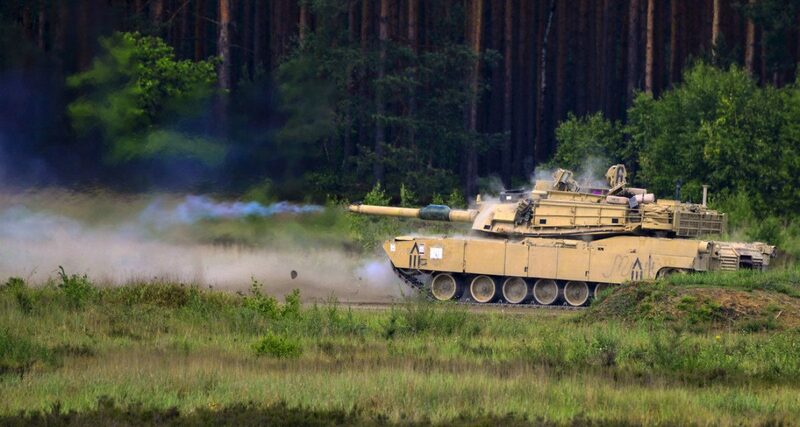 Since victory in World War II, the United States Army has leveraged the nation’s economic prowess to invest in increasingly heavy, technologically complex combat platforms. Our appetite for armor is clear, and comes from the belief that maximum protection, firepower, and technology, combined with the cognitive skill of the all-volunteer force, will produce the most supreme mechanized units on the battlefield. During Operations Desert Storm and Iraqi Freedom, and portions of Operation Enduring Freedom, this concept proved valid, as American Abrams tanks, Bradley infantry fighting vehicles, and later Stryker armored fighting vehicles twice devastated Saddam Hussein’s army and helped seize Taliban-controlled territory in Afghanistan. 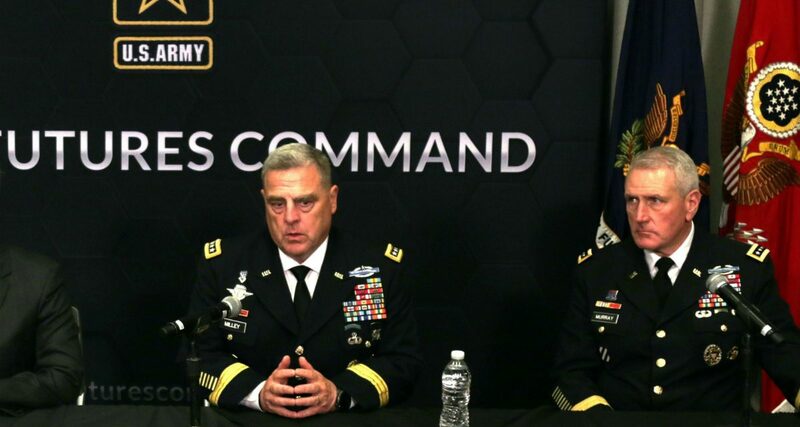 These campaigns, though, will likely be markedly different than the multi-domain battlefield against a peer adversary the Army anticipates in the twenty-first century. Rather, the struggle for temporary periods of supremacy in air, sea, land, cyber, and space, coupled with the increasing vulnerability of battlefield supply lines, will prove increasingly challenging for our current armored formations, requiring a fundamental shift in the acquisition, training, and employment of our mechanized forces. After a couple of tumultuous years, President Donald Trump seems to have reached the conclusion that he has had quite enough of generals. Now, as a retired admiral, I have certainly been annoyed over the years by a number of generals. Yet by and large, I’ve found them quite effective as leaders, organizers, planners and strategists–the type one would expect from those who have proved their mettle in the long hierarchical climb up the ranks of the modern armed forces. Additionally, the vast majority are driven by integrity and the values of courage, honor, commitment–while having been tested in life-and-death situations. All in all, a pretty good selection of qualities. So why, after hiring quite a few, is the President turning on them? WASHINGTON — Secretary of State Mike Pompeo warned Iran on Thursday against launching three spacecraft in the coming months, describing them as a cover for testing technology that is necessary to lob a warhead at the United States and other nations. His statement seemed intended to build a legal case for diplomatic, military or covert action against the Iranian missile program. It was surprising only because Iran has been launching modest space missions, mostly to deploy satellites, since 2005. Where would we be without all of our rare-earth magnets? Rare earth elements are a set of 17 metals that are integral to our modern lifestyle and efforts to produce ever-greener technologies. The "rare" designation is a bit of a misnomer: It's not that they're not plentiful, but rather that they're found in small concentrations, and are especially difficult to successfully extract since they blend in with and resemble other minerals in the ground. China currently produces over 90% of the world's supply of rare metals, with seven other countries mining the rest. So though they're not precisely "rare," they are scarce. In 2010, the U.S. Department of energy issued a report that warned of a critical shortage of five of the elements. Now, however, Japan has found a massive deposit of rare earths sufficient to supply the world's needs for hundred of years. Oil prices regained more ground on Wednesday, pushed higher after equity markets rebounded from an initial selloff at the start of 2019 trading. The price gains are not entirely convincing. WTI and Brent posted strong gains, each up more than 3 percent by midday in New York, but come largely after U.S. equity markets shook off an earlier bout of pessimism. In fact, the trajectory and health of the global economy has moved to the top of the list in terms of variables exerting influence on oil prices. On any given day, stock prices offer a clue into investor sentiment in this regard. “Energy markets are following lockstep with what the equity markets are doing here, and I think that’s going to continue to be the case,” Brian LaRose at ICAP Technical Analysis, told Reuters. Can we find a foreign policy of responsible global engagement that most Americans support, that draws the right lessons from our past mistakes, that steers between the equally dangerous shoals of confrontation and abdication, and that understands the difference between self-interest and selfishness? Antony Blinken and Robert Kagan propose an approach in a piece originally published by the Washington Post. Foreign policy was the last thing on voters’ minds in the midterm elections, but as we look toward 2020, one thing is clear: President Trump’s “America First” foreign policy—or its progressive cousin, retrenchment—is broadly popular in both parties. Trump’s recent decision to withdraw all troops from Syria and 7,000 from Afghanistan has been condemned by Democrats and Republicans alike in Washington. But it is not at all clear that Americans beyond the Beltway are equally outraged. 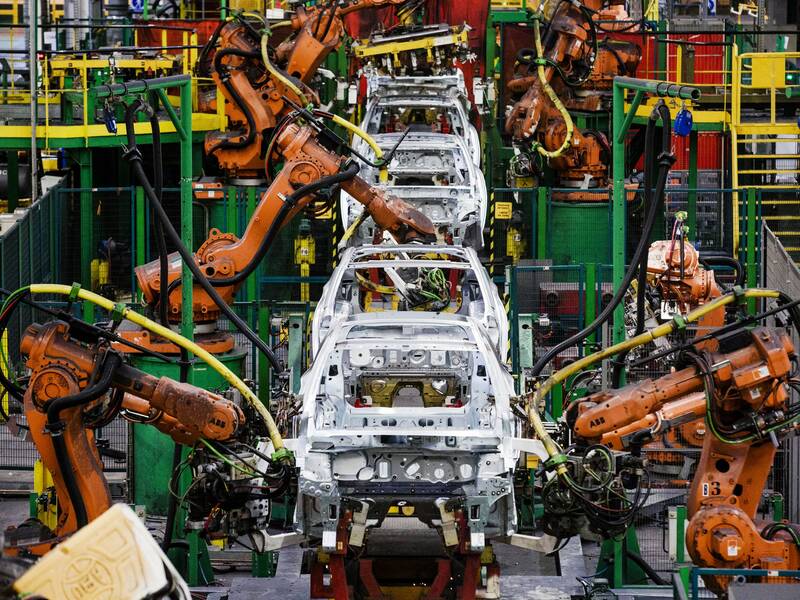 "I want to caution the fetishization of manufacturing," says R. David Edelman, currently the director of MIT’s Project on Technology, Economy, and National Security. "Because building things is great and important, but let's not have nostalgia for the days where my great grandfather would be on an assembly line losing a finger every four years." YOU, LIKE ME, may sometimes (or all the time!) feel that the world is spiraling out of control—trade wars and political strife. And, oh right, climate change, arguably the greatest threat our species has ever faced. Or maybe artificial intelligence and robots will put us all out of work before the world actually ends. BERLIN — After hackers, later determined to be working for Russia, broke into Parliament’s main computer network three years ago, the government vowed to fortify its cybersecurity. The authorities schooled lawmakers about changing passwords, using two-step identification and other measures to protect online data. But on Friday, nearly 1,000 lawmakers and other prominent Germans, including rappers, journalists and internet personalities, awoke to find links to their street and email addresses, private chats from social media, bank account details and pictures of their children published on Twitter, in another major breach aimed at the country’s political establishment. All those attacked had a history of criticizing the far right, whose politicians appeared to be spared, raising suspicion that the hacker or hackers were sympathetic to their agenda, though the authorities said they had no indication yet who was behind the attack. Apple shares got sacked again Thursday, falling to a $142 low that is nearly 40% beneath the record $233 achieved a mere 90 days ago. What were Apple’s institutional sponsors thinking back then? And why, as the stock began its wealth-vaporizing plunge, were the same giddy geniuses salivating over the prospect of adding massively to their positions if AAPL fell to a magic number somewhere around $170? Now, of course, with 20-20 hindsight, they will all tell you exactly why the stock has plummeted and why it could fall even further. A team of experts, part of the Air Force's Physiological Episodes Action Team, or AF PEAT, recently held a day-long event to trade ideas on how best to curb hypoxia-like events from happening to pilots across the ranks. Pilots, physiologists, data scientists, engineers and maintenance personnel took part in the event, known as an AF PEAT hackathon, outside Washington, D.C., in December to find solutions to physiological phenomena that continue to plague pilots flying aircraft such as the T-6 Texan II, F-22 Raptor, F-15 Eagle, F-35 Lightning II and A-10 Thunderbolt II. Surprising among the industry leaders at the table? This blog is based on Dr. Hoffman’s opening remarks at the Modern Warfare Institute’s annual conference, held at the U.S. Military Academy, West Point, November 4, 2018. As AFC expands and supplements its cross-functional teams (CFTs), it is vital that core design challenges are addressed or capability gaps will persist in modernization efforts. Specifically, there are four problems AFC needs to overcome to drive the modernization program the Army needs.